Notre Dame Preparatory Academy was a unique and challenging project, from involvement on the design team through final completion of the project. 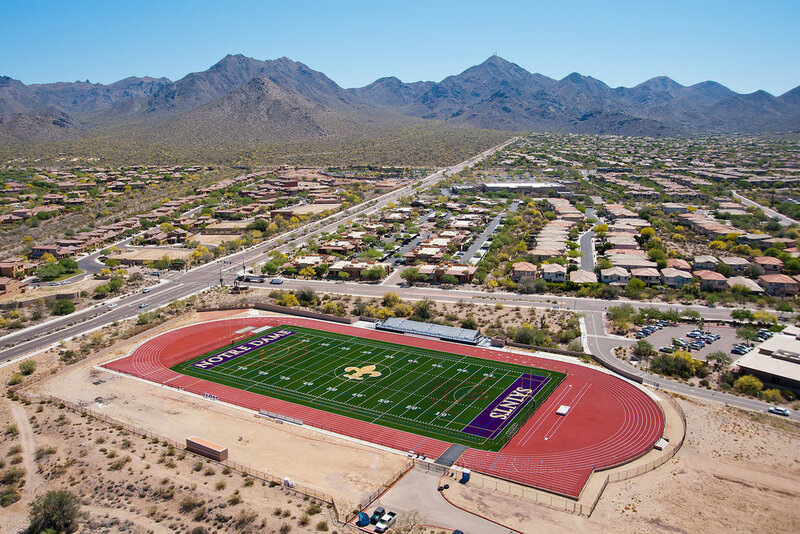 Although the staging combined with stringent deadlines added complexities, we were able to overcome all site challenges, ultimately developing the premier stadium project in Arizona. 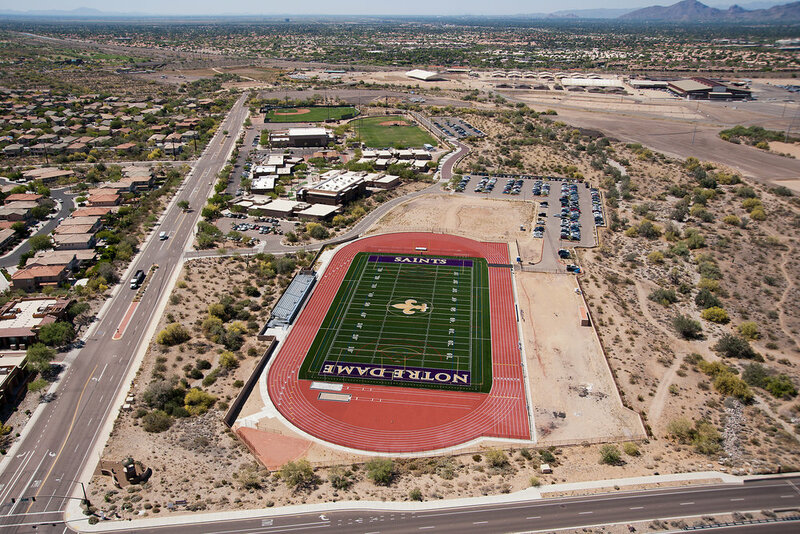 The Elite Sports Builders team is honored to have been awarded the 2016 Distinguished Outdoor Track Facility by the American Sports Builders Association for the construction of Phoenix's Notre Dame Preparatory Academy. The ASBA has been the authority in sports construction and stadium facility projects in North America for over 50 years. The organization includes over 400 members and experts across all facets of athletic construction with an intention of offering world-class resources for professionals who design, build and supply materials for high-level facilities. Projects considered for this award must comply with the rules set forth by the applicable governing board such as the NFHS, NCAA or IAAF, and must also comply with the specifications and recommendations of the ASBA. 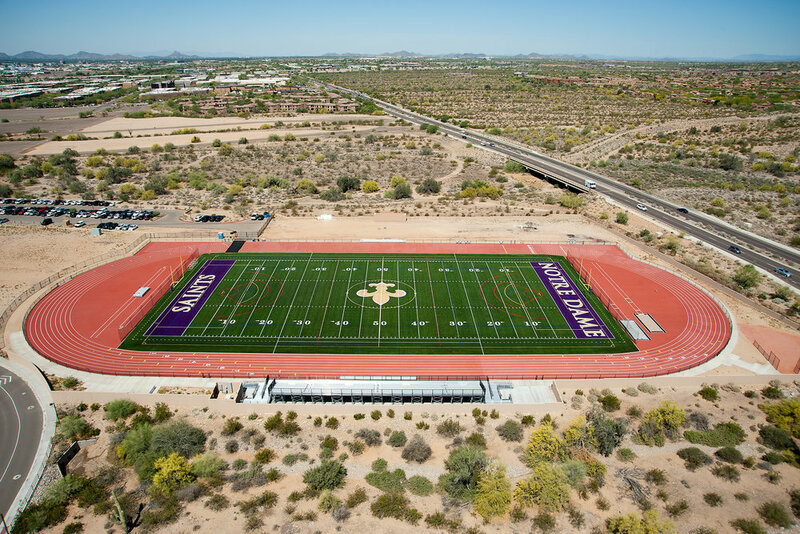 Elite Sports Builders partnered with Chasse Building Team and The Catholic Diocese of Phoenix on this exceptional award-winning facility.